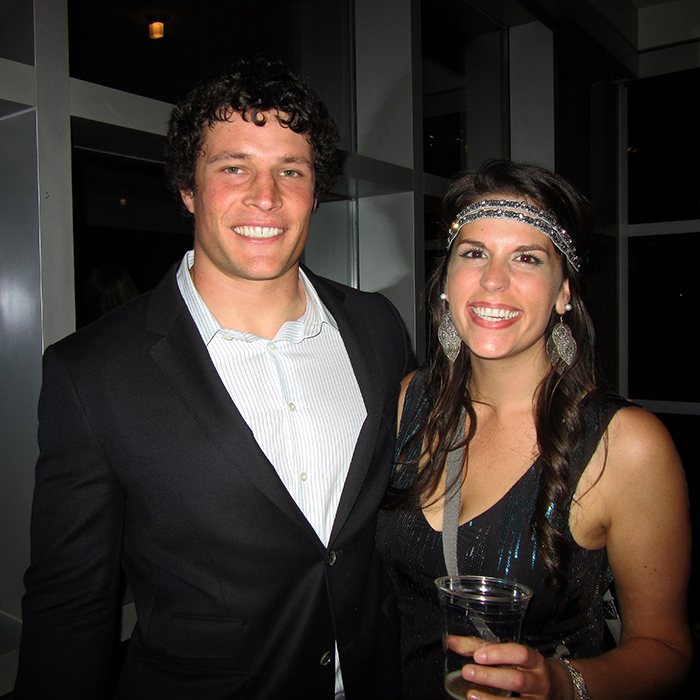 What’s it like to party Great Gatsby style with Luuuke, Thomas Davis & Riverboat Ron? 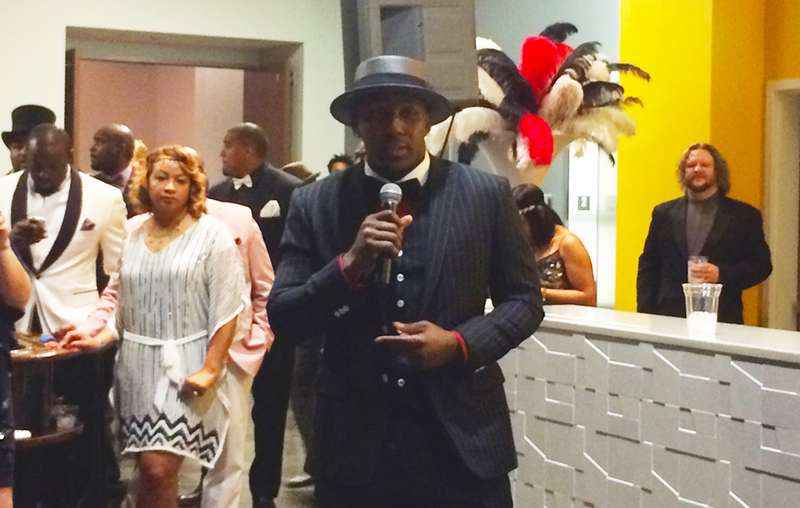 Friday night, the Queen City got a little more glamorous as Panthers linebacker Thomas Davis hosted a Great Gatsby-themed event to raise money for his Defending Dreams Foundation. I received my invite in an office lottery three days before the fundraiser was scheduled to kickoff; so most of my productivity this week was devoted to finding an appropriate outfit. One overnighted flapper costume (that I didn’t even wear) and three trips to SouthPark Mall later, I was ready to rub elbows with our defensive line. In keeping with the evening’s theme, Davis greeted guests in a three-piece pinstripe suit and boater as they arrived at the Harvey B. Gantt Center for Gatsbyesque festivities. The NFL’s Walter Peyton Man of the Year Award winner kicked off the evening by giving a breakdown of activities spread across four floors of the Gantt Center. 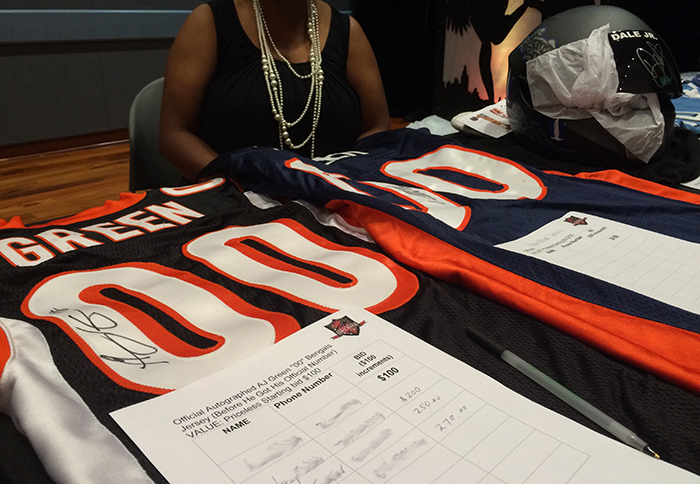 Entertainment included a silent auction featuring signed gear from NFL, NBA and even NASCAR stars, XBOX gaming centers, casino game tables and a celebrity DJ. To be honest, I probably spent too much time fake gambling and not enough time taking gratuitous selfies. I could have had a picture with these guys. Instead, I only got this picture of me + #LUUUUUUUKKEE with my eyes closed. I did get a high five from Davis when I hit it big on the craps table. However, there are no pics to prove, so basically it didn’t happen. 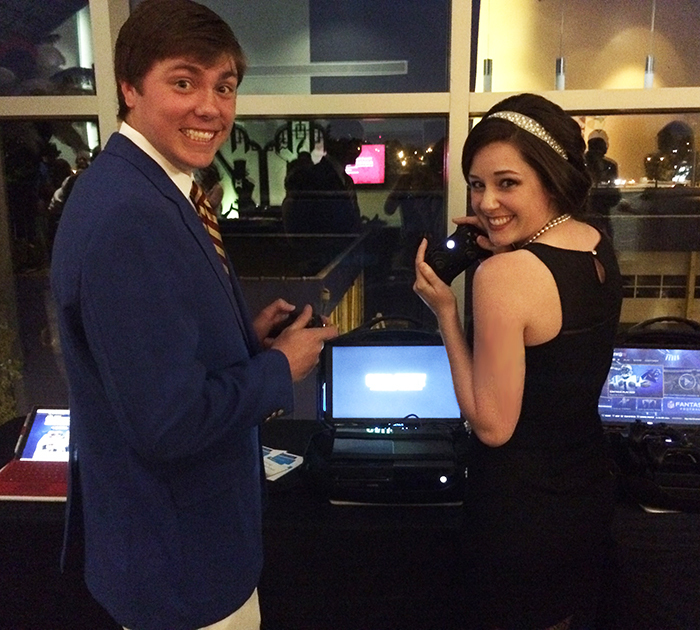 All in all, it was a fun night raising money for a great cause. The Thomas Davis Defending Dreams Foundation runs a youth leadership academy, offers a free football clinic and serves meals in the community through a partnership with the Salvation Army Center of Hope. We support Davis and his teammates on the field, and it makes me proud to be a fan when I watch them invest in the city they now call home. If you missed the roaring ‘20s bash but still want to support the cause, you can donate to Defending Dreams here. 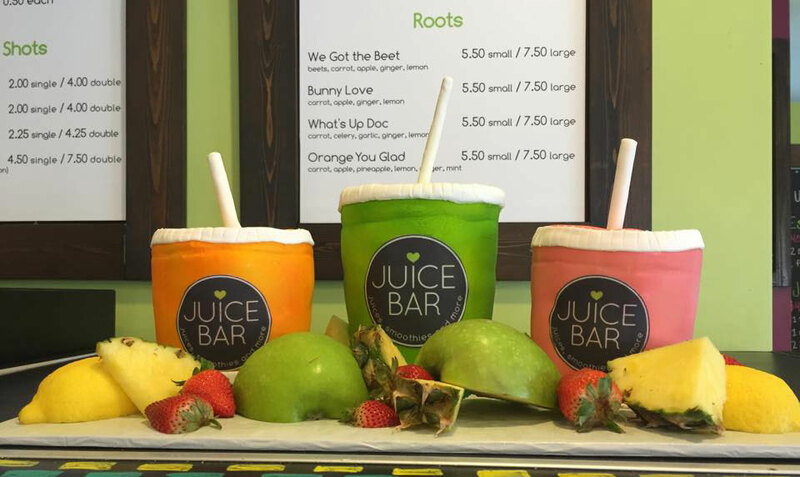 What’s the location of Myers Park’s new Juice Bar?